As the year draws to a close, it’s natural to take a moment to reflect on the past twelve months; the good things; the bad things; successes; proud moments; and the things that we’d rather not mention! But while reflection serves a useful purpose in helping to learn from past experiences, most of the energy and thought that goes into running a successful home service business is best invested in the future; the plans, goals, strategy, and objectives for the coming year. With the start of 2012 imminent, here are three New Year Resolutions that home service businesses should consider implementing to increase efficiency and productivity, for a head start in the new year. It may seem obvious but the content on your website is what draws attention to your products and services; it generates demand and interest. But what is less obvious is that your performance in Internet search (i.e., how far up the list you appear in Google when someone searches for information that is connected with your business) is not just based on the quality of the content, but also on how recent this is: how often you refresh and update your website. Search engines like new information; it makes you appear fresh and new. Your first resolution for 2012 is: Refresh the content on your website (even just a little). As the year starts, plan ahead for a successful and profitable year. 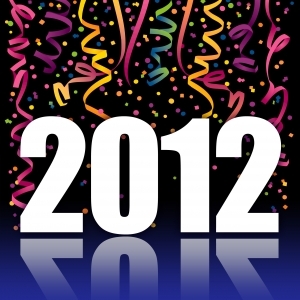 What other resolutions will your home service business be following in 2012? Posted on December 29, 2011, in Service Proz News and tagged home service business, New Years, resolution, Service Prox. Bookmark the permalink. Leave a comment.